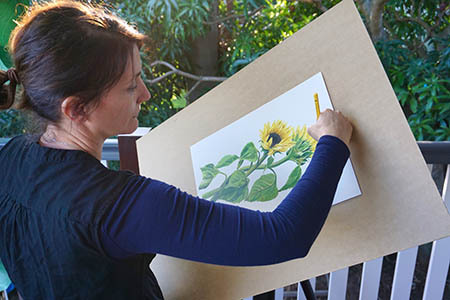 Artists who create on art boards can now experience the full range of benefits offered by the innovative artristic™ Studio Easel. – Paint on a range of mediums including ceramic plates! 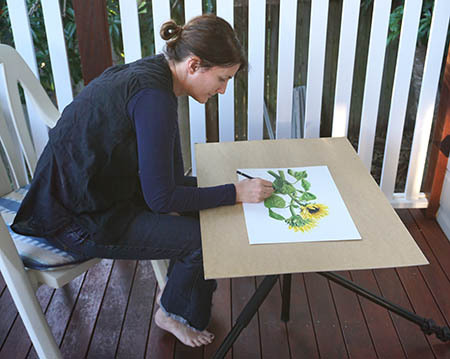 Now you can easily attach art boards to your Artristic easel. With the addition of Artristic Board Supports your artristic easel becomes even more versatile than before! 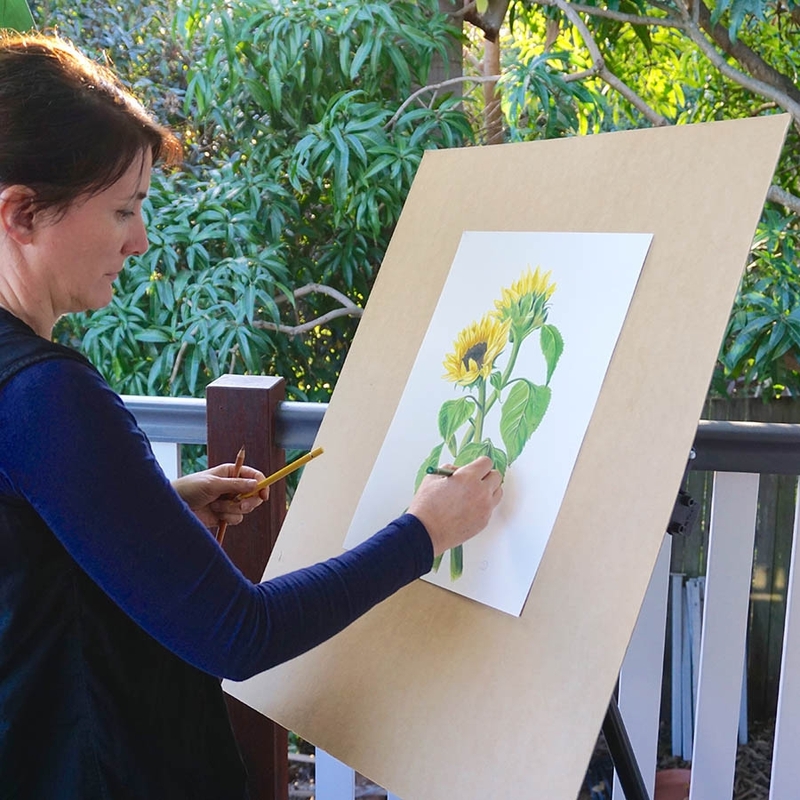 The artristic™ Studio Easel is used by artists working in many different mediums and styles, including Pastel, Oil, Acrylic, Watercolour, Scraperboard, Pencil, Painting A Day, Miniature, Charcoal, Encaustic, Mandala, Pallet knife and Zentangle just to name a few! What can I attach with these board supports? plus many more… even ceramic dinner plates can be fixed to your artristic easel, making it easy to spin and reposition them while working in the round. Need things horizontal to do your best work? No problem! The versatility of the artristic easel has always been incredible, but now the possibilities truly are endless. Artists who create on art boards can now experience all of the benefits of the artristic™ Studio Easel. – Paint up to and off the edges of your art board. 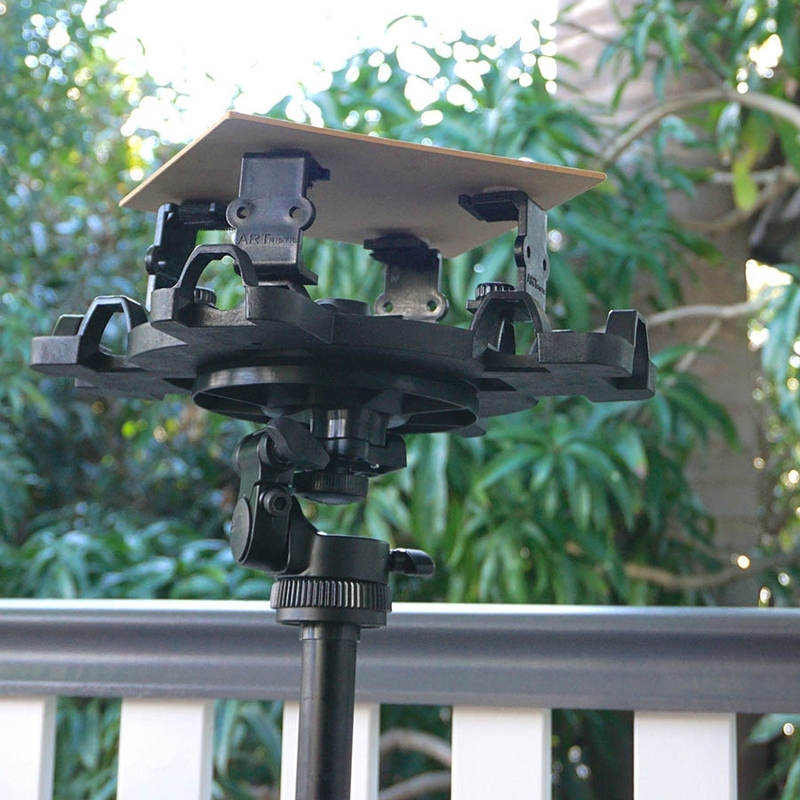 – Rotate, turn and tilt your art board whilst you paint or draw. 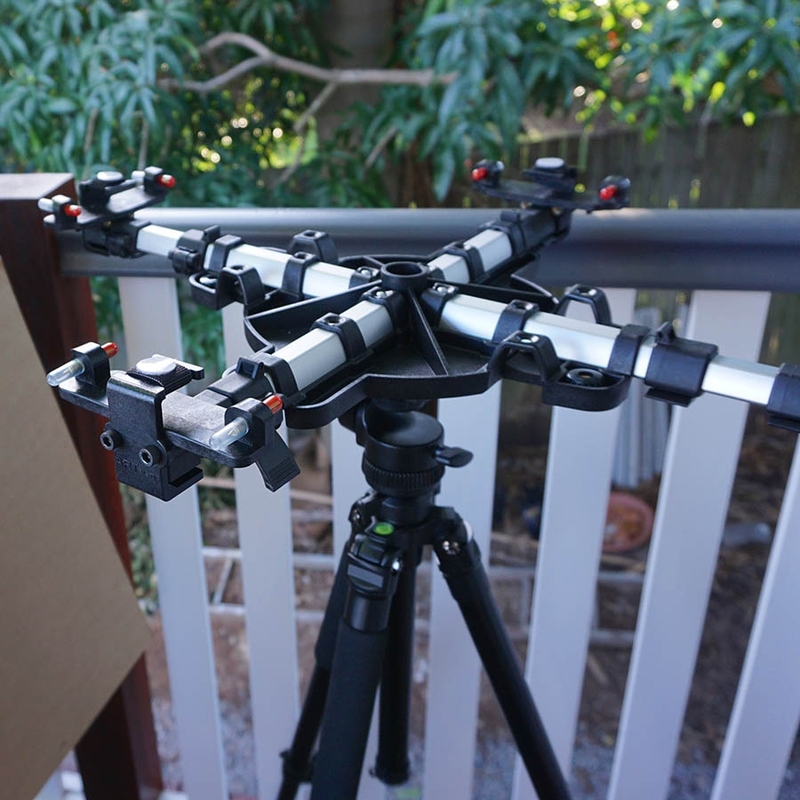 – Position your work at any height so you can paint seated or standing. – Switch from traditional canvas to artist board quickly and easily. 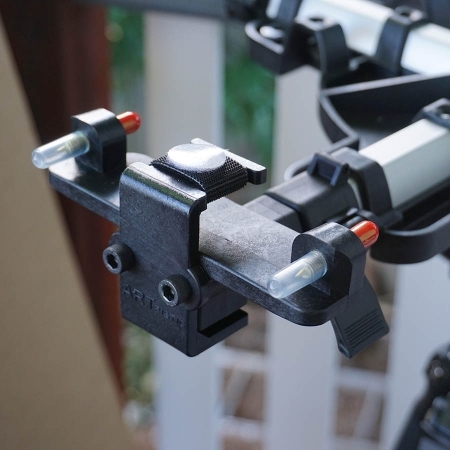 – Perfect for pastel painters, pour painters and anyone else who needs to tilt, spin or rotate artist boards while working. 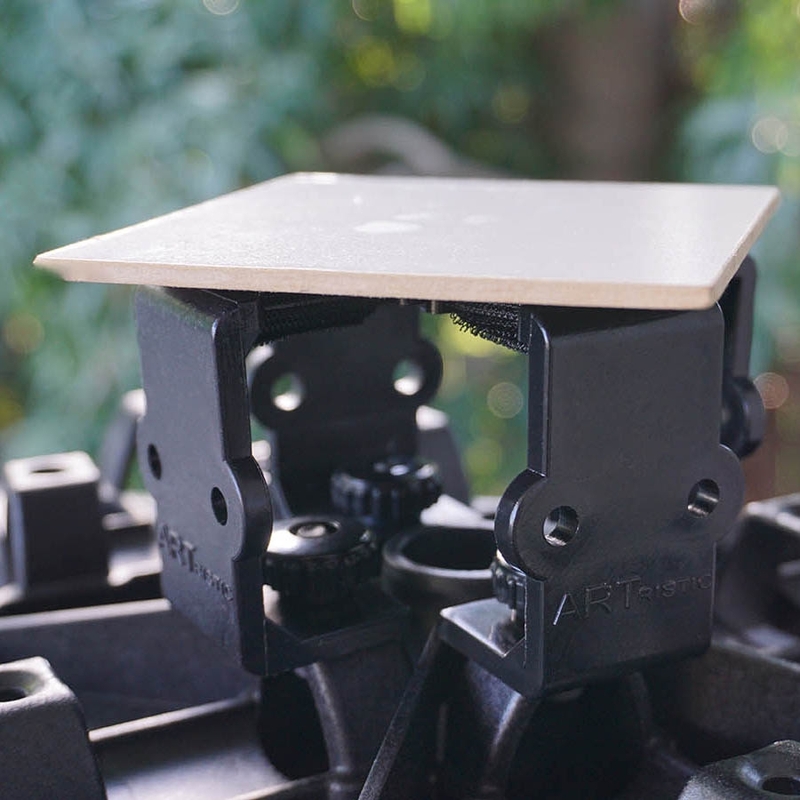 The board supports can be positioned in any configuration using the 12 holes in the easel hub or for larger art boards they can also be attached to the end of each T-Bar arm which can be extended as required.